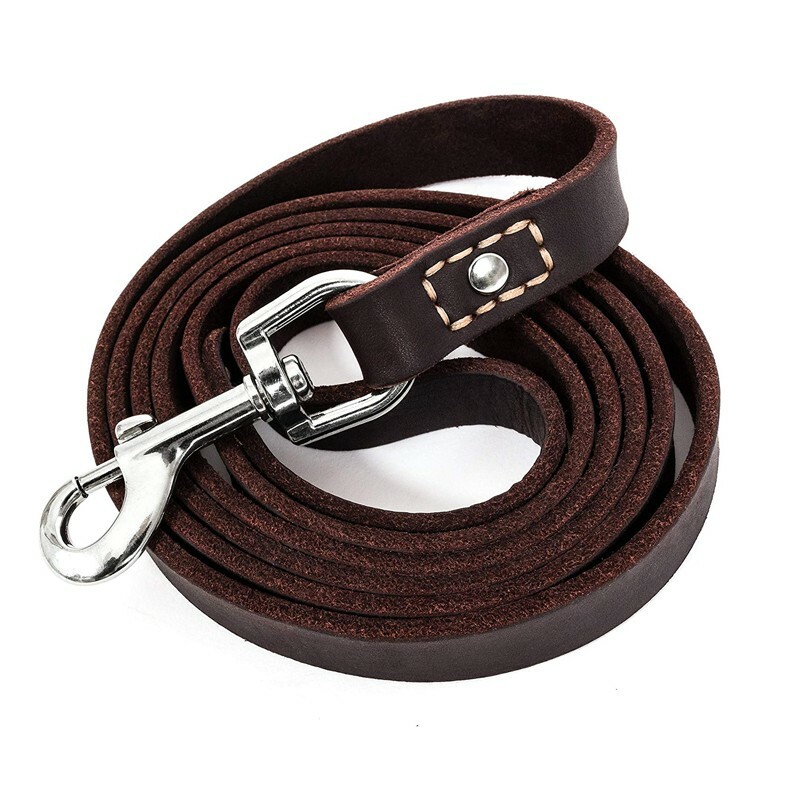 100% genuine leather keeps good balance of durability and stylish, it will soften to your hand over time.. Nickel coated clasp also perform well in controlling strong puller. All materials are hand picked and our design is handmade by skilled workers, which guarantees consistent use. Ultra soft leather is the best choice for some pets who are allergic with man-made materials such as nylon and polyester. The soft handle will never hurt your hand like other poor quality leather. 360 degree rotation helps pet roam freely. Our black design is very classic and elegant, you can use our leash to match up any suit. Most pet parents will say that having a dog is the most happy thing in their lives. That is true. Dogs are good friends of human. They are good assistants in hunting, and they can also comfort your mind as a therapy dog. They offer warm and sweet moments to us. Dogs can lower your stress levels and blood pressure, we also believe they can speed up recovery time from illness. So if you live alone in a big city and no family member there, you can get a dog to be your family who will stay at home and wait for you, when you feel sad, your furry friend will always give you a warm hug.